Trucks, tractor trailers, 18 wheelers, buses, rv’s, big rigs, freightliners and heavy haulers all need their tires to be inflated. Truck tire blowouts can be devastating. Tire service may be tough to come by if you find yourself stuck on the side of the road with a flat tire. Tire service is available by visiting FixonRoad.com™or by calling us at 800-208-6364. Our directory of truck tire service specialists and emergency roadside assistance providers is filled with reliable truck services. In order to limit the tire service that you need, there is an automatic inflation system that inflates your trailer tires while you drive. Tiremaxx Pro is an automatic tire inflation system that adjusts and monitors tire pressure continuously monitors. Tires are inflated and deflated based on changing road conditions. In addition, Tiremaxx Pro balances tire pressure at every wheel position. This is the first automatic tire inflation system of its kind that is capable of active tire deflation and balancing. It is expected to come out in early 2011. The patented tire system works without electronics, transducers or pressure switches. Tire pressure is continuously monitored with regard to changes in temperature. The system draws from the tractor trailer air supply. This keeps truck tires properly inflated regardless of the temperature. This system assists tires in achieving maximum tread life. 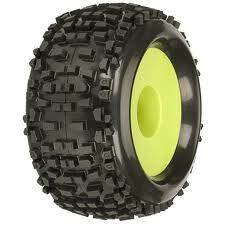 It reduces friction between dual tires and makes tires last longer. It will be interesting to see how effective Tiremaxx Pro is once it is released and put into use. In the meantime, be sure to contact FixonRoad.com™ by visiting us on the web or calling us at 800-208-6364. Our directory of truck tire service specialists and emergency roadside assistance is ready and waiting to help you get back on the road as soon as possible. Are you in need of truck repair services? Do you need access to a truck repair services directory now? Well, then you have come to the right place! 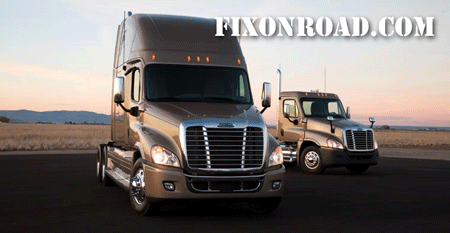 FixonRoad.com™ specializes in truck repair services and road service assistance. FixonRoad.com™ offers truck tire service and truck towing services. FixonRoad.com™ provides the best Truck Repair and Services Business Directory in the entire United States of America. We give our truck road service visitors access to the most comprehensive list of truck repair and truck towingservice providers in the following specialties: Mobile Repair Service, Truck Repair Towing, Mobile Trailer Service, Trailer Repair, Truck Stops with Repair, Mobile Tire Service, Truck Tire Sales and Service, Quick Lube, Mobile Bus Service, Bus Repair, Truck Air Conditioning, Mobile RV Service, RV Repairs and Service, Mobile Bus Service, Bus Repair, Truck Glass Repair, Mobile Refrigeration Service, Reefer Repair and Service, Liftgates, Mobile Hydraulics Service, Truck Body Shops, Truck Parts, Load Shifts and Transfers, Truck Welding Frame, Truck Alignment and Truck Suspension. Our directories include truck repair services and tow truck operators in the following states: Alabama, Arizona, Arkansas, California, Colorado, Connecticut, Delaware, Florida, Georgia, Idaho, Illinois, Indiana, Iowa, Kansas, Kentucky, Louisiana, Maine, Maryland, Massachusetts, Michigan, Minnesota, Mississippi, Missouri, Montana, Nebraska, Nevada, New Hampshire, New Jersey, New Mexico, New York, North Carolina, North Dakota, Ohio, Oklahoma, Oregon, Pennsylvania, Rhode Island, South Carolina, South Dakota, Tennessee, Texas, Utah, Vermont, Virginia, Washington, West Virginia, Wisconsin and Wyoming. Just visit our website at http://fixonroad.com and search by zip code and by truck repair and services needed. 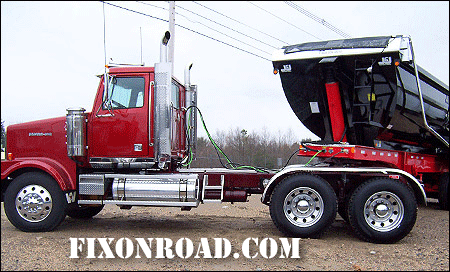 FixonRoad.com™ is confident that you will find quality truck repair and truck towing services. FixonRoad.com™ aims to build a partnership with the internet community and truck towing companies. 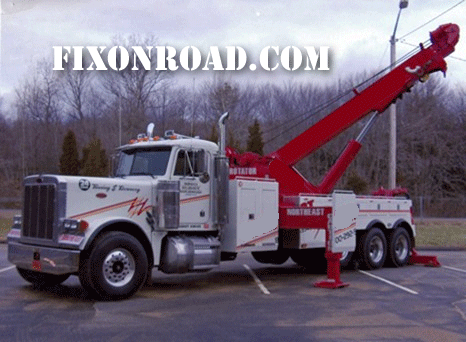 If you are in search of 18 wheeler towing, refer towing, low boy towing, big rig towing, semi-truck towing, bus towing, r/v towing, tractor trailer towing, freightliner towing or towing services for other types of trucks, be sure to visit FixonRoad.com™ . We proudly offer our directory of truck towing service providers. 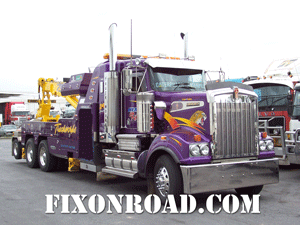 At FixonRoad.com™ we present listings of the finest truck towing services available online. 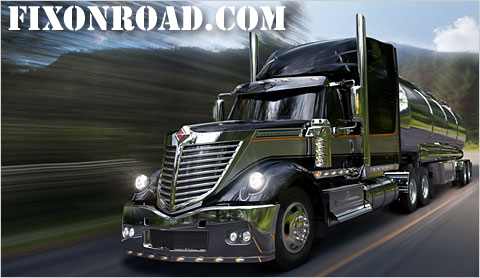 Just visit our website and enter your zip code into our truck towing service directory. In an instant you will be provided with the best truck towing service providers in the immediate area. FixonRoad.com™ visitors deserve top-notch truck towing services whether they have been involved in an accident of are in need of roadside repair services, FixonRoad.com™ is here to help. FixonRoad.com™ is actively seeking exceptional truck towing services with proven reputations to include in our truck towing services directory. 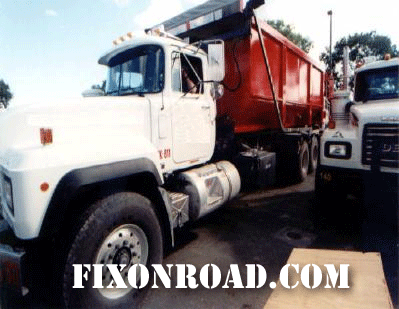 FixonRoad.com™ gives our visitors access to the most comprehensive list of Truck Repair service providers and Truck Towing Services around. Our Truck Repair and Road Service providers specialize in: Mobile Repair Service, Truck Repair Towing, Mobile Trailer Service, Trailer Repair, Truck Stops with Repair, Mobile Tire Service, Truck Tire Sales and Tire Service, Quick Lube, Mobile Bus Service, Bus Repair, Truck Air Conditioning, Mobile RV Service, RV Repairs and Service , Mobile Bus Service, Bus Repair, Truck Glass Repair, Mobile Refrigeration Service, Reefer Repair and Service, Liftgates, Mobile Hydraulics Service, Truck Body Shops, Truck Parts, Load Shifts and Transfers, Truck Welding Frame, Truck Alignment and Truck Suspension. Our truck towing service providers specialize in: 18 wheeler towing, refer towing, low boy towing, big rig towing, semi-truck towing, bus towing, r/v towing, tractor trailer towing, and freightliner towing. The largest tow truck parade took place in Hampton, New Hampshire in which 252 tow trucks were on the road. The more than 250 tow trucks set a world record for the largest two truck parade. The New Hampshire Towing Association successfully broke the previous record that was set in Wenatchee, Washington where there were a total of 83 tow trucks. The trucks involved in the tow truck world record included flatbeds, wheel-hook tow trucks, 72-ton big-rig wreckers and every other tow truck imaginable. The tow trucks made plenty of noise as they sounded their airhorns for the crowd to enjoy. Following the parade, tow trucks competed in a tow truck skills competition and a tow truck “beauty” contest. That record didn’t last long before the Metropolitan New York Towing Association lined up 292 big rig tow trucks for the largest tow truck parade ever! Some 292 tow trucks including flatbeds tow trucks, wrecker tow trucks and 50-ton rotator tow trucks rode through the streets of New York City. This set the new world record for the largest tow truck parade. 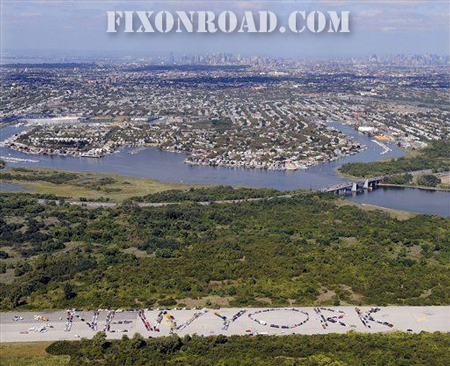 The 292 tow trucks spelled out the words “New York” at Brooklyn’s Floyd Bennett Field. The tow trucks departed from Shea Stadium, former home of the New York Mets in Flushing Queens to set the world record. You can be sure that anyone in the New York Metropolitan area who needed a tow truck at that moment was out of luck. 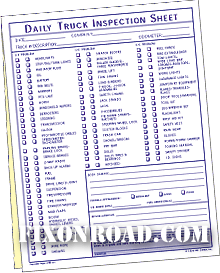 FixonRoad.com™ makes it easy to find Truck Towing providers using our searchable database of truck tow service providers. Do you need a tow truck for your tow truck? What happens if a tow truck needs a tow truck? Who does the tow truck driver call? Answer: Another tow truck. Tow trucks need to be able to tow serious weight – especially for trucks that specialize in Big Rig Towing, 18 Wheeler Towing, Tractor Trailer Towing, Semi-Truck Towing, Bus Towing, R/V Towing and Reefer Towing. Tow Truck Services can be hard to find – especially in remote locations. Luckily FixonRoad.com™ provides visitors access to the most comprehensive list of Truck Repair and Truck Tow service providers in the United States of America. Our Truck Repair , Road Service and Truck Tow Service providers specialize in: Mobile Repair Service, Mobile Towing Services and Roadside Truck Towing Services. Trucks that experience breakdowns in the middle of a haul need to get back on the road as soon as possible or risk losing large amounts of money. 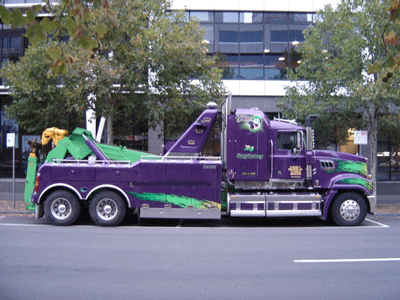 Truck Towing services can help get your truck towed to a truck service repair station nearby. If this process is done properly, truck drivers have a better chance of getting their trucks back on the road as soon as possible. Posted October 27th, 2010 in Road Service Locator, Truck News, Truck Technology | Comments Off on Fix on Road Roadside Truck Repair Services: Freightliner Goes Green! The Driver Vehicle Inspection Report (DVIR) is an important tool that truck drivers should use regularly and take seriously. Sometimes truck drivers fill on DVIRs without paying attention to detail. This can lead to unnecessary truck breakdowns and an increased need of emergency truck roadside assistance. Trucks that inspected at the roadside truck stops exhibit problems that were not found on the DVIR. This indicates that truckers should be taking the DVIR process more seriously. Carriers and drivers of freightliners, 18 wheelers, reefers, low boys, big rigs, heavy haulers, semi-trucks and tractor trailers all put themselves at risk for failing to properly maintain their trucks. Truck drivers who wish to avoid roadside assistance and mobile truck repair services should perform pre- and post-trip inspections, accurate complete DVIRs and keep good records of any truck repairs made and truck parts that were used. truck brakes, including trailer brake connections, truck parking brakes, truck steering mechanism, truck lighting devices and truck reflectors, truck tires, truck horn, truck windshield wipers, truck rear view mirrors, truck coupling devices, truck wheels and truck rims, as well as truck emergency equipment. Posted October 21st, 2010 in Road Service Locator, Truck News, Truck Parts and Terms, Truck Roadside Repair Service | Comments Off on Need Truck Transmission Repairs? How Well Do You Know Your Truck’s Transmission?